I’ve been reading LOTS (well, not as much as some years) for the Cybils, and I haven’t had the time to write down reviews of all of them. 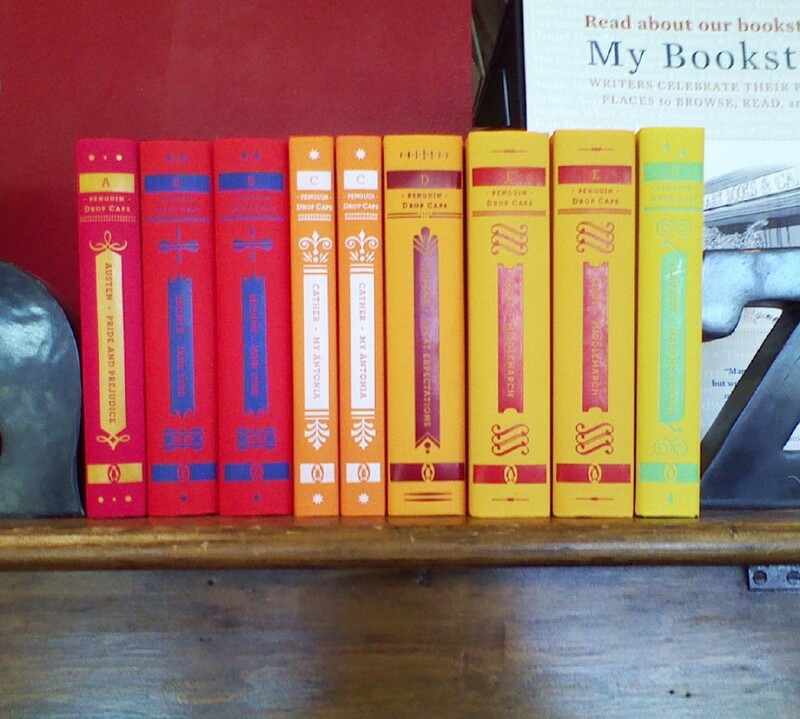 Here are a bunch I enjoyed, but didn’t have the time to write a whole review of. 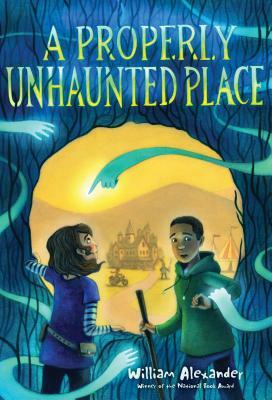 Content: It’s a ghost story, but it’s not scary, and it’s short enough not to scare off reluctant readers. It’s in the middle grade (grades 3-5) section of the bookstore. Basic plot: there’s this town, Ingot, that doesn’t have ghosts. Which is unusual in this alternate world where ghosts are incredibly prevalent. Jasper, who grew up in Ingot, doesn’t mind, but Rosa, who just moved there, does. And so when ghosts start appearing at the Renaissance Faire, Rosa is ecstatic: appeasing the ghosts (not banishing!) is her family’s business, after all. And she enlists Jasper’s help to figure out the ghost problem in Ingot. It’s a fun enough book; short and sweet and simple, and I could tell that Alexander wanted to make it diverse (props for that, but it felt forced) but it just wasn’t, well, interesting. Content: There’s a few mild swear words, and some intense moments. It’s not at the store, but if it was, it’d be in the YA (grades 6-8) section. This book takes place in a world — perhaps our own? — that has been taken over by spirits. Except, these aren’t ghosts (I thought they were, at first). They’re more like djinn, except they don’t have magic powers. What the people of this world do is capture the spirits, and then force them into iron containers (so they can’t escape) and then use them to power airships and robots. Molly is the engineer on her family’s airship, when she realizes (over a course of a few events) that what they’re doing is essentially slavery. So, she sets out to stop it. The thing I liked best about this was the world. 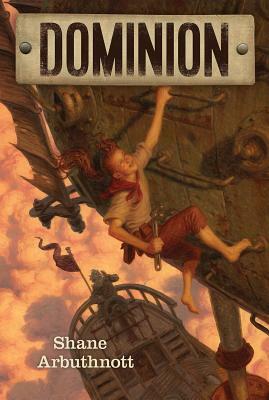 Arburthnott has created a unique world where he mixes magic (of sorts) with steampunk technology, and then thrown in a capable and interesting heroine (whose main antagonists end up being her family, which was also interesting) and it turns out that this is a pretty fantastic speculative fiction adventure. Content: There’s one adult smoking and a hunting accident. It’s in the middle grade (grades 3-5) section of the bookstore. 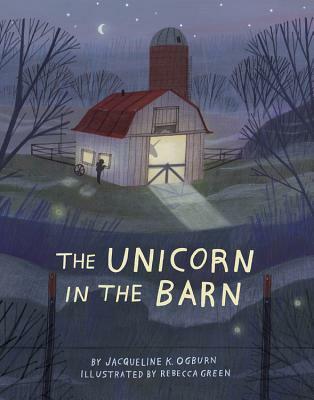 This is a charming little story about a boy and a girl, some woods, a unicorn, and a vet clinic that helps (among other animals) magical animals. It was very sweet and tender, and lovely, and would be perfect for the sweet, tender, animal-loving reader. I enjoyed the push-and-pull relationship between the main character and the daughter of the veterinarian, and I liked that the conflict happened in spite of the parents, not because of them. (They were actually really good parents.) I’m not much of a horse/unicorn lover (anymore; my 4th grade self would have loved this book), so I wasn’t completely enthralled, but I do like that there’s a charming, sweet horse story starring a boy out there. Content: There’s some bullying and sleeping parents. It’s in the middle grade (grades 3-5) section of the bookstore. This was a delightfully odd story about a northern town (maybe in the Yukon? Or northern Alaska?) which, every year, all the adults, 12 years and 4 months and 6 days old and up eats bear liver to honor a long-ago event by their forefathers. It’s considered a punishable offense to not do so, and so when Jean throws it up, she’s worried. Until everyone who ate the liver falls asleep and the kids — especially the mayor’s kid, Magnus — take over. Then, it’s up to Jean to figure out why the adults are all asleep and stop the vote on the new thistleberry plant before it’s too late. A highly improbably premise with a scientific solution, this one was silly fun. 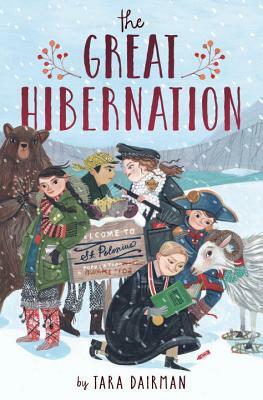 I enjoyed reading how Jean and her new Thai friend, Isara, figure out the truth behind the sudden “hibernation” and how to wake up the adults. It’s a clever mystery and a silly story, even if it is full of improbabilities. Content: There’s some intense moments with scary monsters. It’s in the middle grade (grades 3-5) section of the bookstore. As a general rule, I enjoy Sarah Beth Durst’s writing, and this one is no exception. 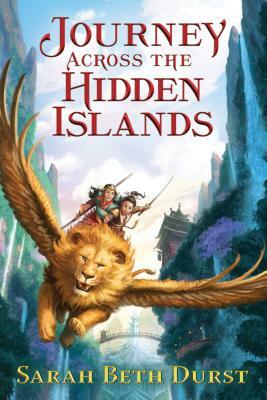 She’s excellent with her world building — this one being a world of islands protected by a magical barrier which is sustained by a dragon — and her writing propels the reader forward. I thoroughly enjoyed this tale of twin sisters, daughters of the Emperor, and their journey to the dragon. I liked that Durst explored the nature of the stories we tell each other and ourselves, how a shared history can differ depending on where a person is from, how perceptions can often be wrong , and how change is sometimes for the best. It was a delightful story, the only negative side being (and this may be a big negative) the vaguely Asian feel to it, which I think could have been done better by an Asian author. That said, overall, it was very good. Content: It’s a slow book, with only a little action, so it’s probably not for those readers who like a fast-paced page-turner. It’s in the middle grade (grades 3-5) section of the bookstore. 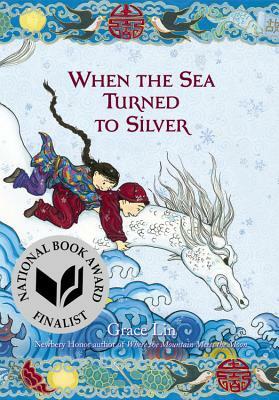 I feel I’ve run out of things to say about this sweet series based on Chinese mythology. It’s very much like the other two: an adventure of a main story, interspersed with old legends which blurs the line between “myth” and “reality” It has an element of the fantastical, with gods and magic, but it’s not overbearing, rather fitting seamlessly into the story of a granddaughter searching for her grandmother. So, really, there isn’t anything more to say except if you haven’t experienced the delight that Lin’s tales are, you are really missing out. Content: There are some scary images, but really nothing else. 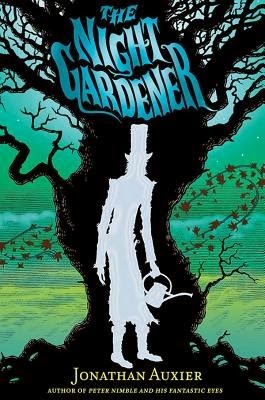 It’s currently in our Teen Graphic Novels, but I’m going to move it to Middle Reader Graphic Novels. 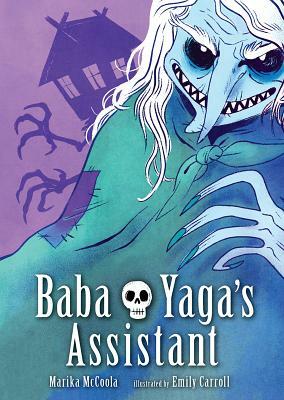 I didn’t know I needed a graphic novel about Baba Yaga, but I really did. And this is the graphic novel I needed. Masha’s mom died when she was little and her father was often gone with work, so she was raised on her grandmother’s love and stories of Baba Yaga. So, when her father decides to get remarried to a woman with an absolutely horrible child, Masha decides to take her chances in the woods with Baba Yaga. Who is everything that you would like Baba Yaga to be. Horrible, terrifying, magical… it’s wonderful. Masha has to go through a series of tests before she can become Baba Yaga’s assistant. And it’s the power of the stories that her grandmother told that gets her through those tests. On the basic level as a magical story, it’s a lot of fun. The young children are sufficiently horrible, and Masha is competent and cool-headed and smart. Her dad’s a jerk, but that’s almost to be expected. It’s a very female-centric story; there’s only a couple of male characters, and they are only playing minor parts. But what I liked best was that it was STORIES (not histories or biographies or facts) that got Masha through the trials. The stories helped her problem-solve. The stories gave her the courage to go on. And that’s something we all need more of.